A third of Australian woodland has been cleared since European settlement. This has resulted in the loss of important ecosystem services, including biodiversity. Just over three quarters of Australian land is managed by private landholders, therefore conserving biodiversity on private land is an important part of our national conservation strategy. However, conserving biodiversity on private land can be challenging because the benefits of biodiversity are enjoyed by everyone while the costs of conservation are incurred by the landholders. 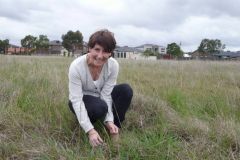 In attempting to deal with this challenge, it's important to appreciate that environmental assets that support biodiversity on private land (such as native vegetation) may also provide benefits that are enjoyed and valued by the landholders. This insight is valuable for natural resource managers because private landholders who enjoy having native vegetation on their land would more likely participate in conservation programs. It also helps in the selection of delivery mechanisms for projects, as shown in the private-public benefits framework developed by David Pannell. Sensing a possible win-win situation, our team set out to better understand the preferences held by landholders for native vegetation on their land. Why do they like to have bush on their property? Is it because, for example, it creates nice views, attracts birds, protects creek, or gives shade for their animals? Or do they prefer cleared land, viewing native vegetation as a hindrance to growing crops and running livestock? Or maybe the preferences depend on the area of bush currently on the property and the goals and interests of a particular landholder? 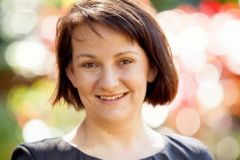 How can we determine the landholders' preferences? 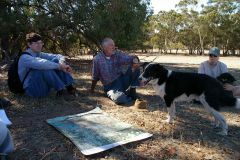 One way is to conduct a survey and ask landholders whether they like having bush on their land and how would they behave in certain situations (for example, how much would they need to be paid to be willing to revegetate 10 ha of his or her land with native trees). Another way is to learn about landholders' preferences by observing their behaviour, for example the amount they actually pay for something on the market. Unfortunately, there is no market for native vegetation, bush or environmental amenities. Luckily, there is a market for rural properties, which come in all shapes and sizes: from small 'lifestyle' properties to large production farms, from covered by bush to completely cleared, and everything in between. Having information about the prices landholders paid for the properties as well as the property's characteristics, we can use a statistical technique called the hedonic pricing method to tease out the value of specific characteristics of the properties, including presence and extent of native vegetation. We analysed data from around 7,500 rural properties in North-Central Victoria that were sold between 1990 and 2011 (Polyakov et al, 2015). The area had a good mix of property sizes, which we assumed to reflect landholder types, ranging from lifestyler to hobby farmer through to major agricultural producer. We used GIS to calculate the amount of native woody vegetation for each property, soil quality, and other characteristics important to a rural property owner. We found that rural landholders generally value native vegetation on their land. The value diminishes as the amount of native vegetation on a property increases, and as the property size increases. For example, they may value their first hectare of native vegetation highly, but the tenth hectare might have no value at all and the twentieth hectare might have negative value. The first hectare of native vegetation on a lifestyle property is much more valuable than first hectare on a production-oriented farm. Native vegetation is indeed more valuable to the owners of lifestyle (small) properties than to the owners of large production-oriented farms.